Japan’s shipments of plastic waste overseas in 2018 decreased 30 percent, figures from a research institute showed Thursday, due to restrictions China imposed on receiving such waste in late 2017. 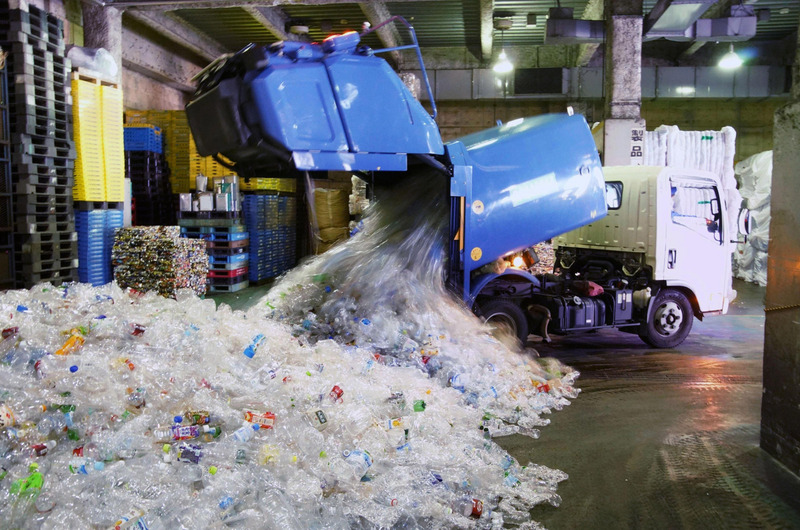 The nation exported about 1.01 million tons of plastic waste in 2018, down from 1.43 million tons the previous year, according to the Institute for Global Environmental Strategies, with shipments to China plunging to 100,000 tons last year from 1.02 million tons. China, a major importer of plastic and other waste, imposed an import ban on nonindustrial plastic waste and restricted imports of industrial plastic waste in late December 2017 amid growing concerns over pollution and health problems. Japan’s plastic waste shipments to Southeast Asian nations such as Thailand, Malaysia and Vietnam increased last year after China imposed the restrictions. But the country’s shipments to Southeast Asia are unlikely to grow further as some countries in the region have also started to impose their own limits. Experts are urging Japan to take action to reduce its generation of plastic waste. Yoshinori Morita, a visiting researcher at IGES, said the government should oblige manufacturers of plastic products to use recycled materials in Japan. Morita also called for introducing international rules to better recycle plastic waste in Asia. “Japan needs to take the initiative in creating common rules throughout the Asian region so that plastic waste can be recycled properly,” Morita said. Hideshige Takada, a professor at Tokyo University of Agriculture and Technology, said companies should use alternative materials for food containers and other products. Some companies are already taking steps. Skylark Holdings Co. stopped distributing plastic straws at its Gusto restaurant chain from late last year. Starbucks Coffee Japan Ltd. and Royal Holdings Co., which operates the Royal Host restaurant chain, will also stop offering plastic straws by 2020. Hamburger chain operator Mos Foods Services Inc. will switch from plastic to paper cutlery for takeout food. But such actions by individual firms have their limit. 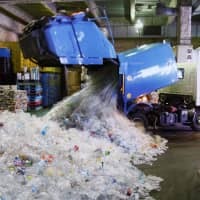 Japan produces the largest amount of plastic waste per capita after the United States and has lagged behind other countries in curbing the use of plastics despite growing fears over environmental pollution. In an effort to catch up with the global trend, the Environment Ministry has drafted a strategy to cut disposable plastic waste by 25 percent by 2030 and to oblige shops to charge for plastic bags. The strategy is expected to be officially endorsed by the end of March. Earlier this month, the government decided to ban in principle the use of plastic straws and cutlery in its cafeterias and to stop passing out plastic bottles to attendees at conferences. The policy will be applied to all central government institutions, including ministries, courts and regional bureaus, when they start signing new procurement agreements from April. Under the revised Basic Policy on Promoting Green Procurement, shops in government buildings will only be permitted to give customers bags made with a certain amount of natural materials. Plastic cutlery will only be given to customers if requested.